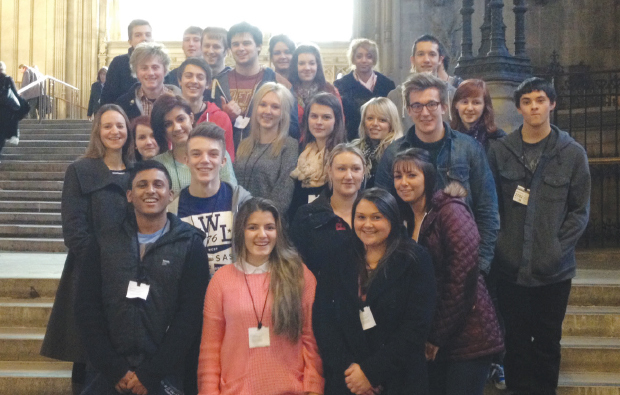 A new generation of legal eagles and lab boffins from Somerset have visited the Houses of Parliament and the Supreme Court in London. As well as an interactive ‘making laws’ workshop, the 26 law and forensic science students from Weston College met their local MP, John Penrose, in a visit organised by Parliament’s Education Service. The students also watched the Lord Speaker’s ceremony in the House of Lords and listened to a debate in the Commons led by Secretary of State for Work and Pensions Iain Duncan Smith.